With Movavi Video Editor Business for Mac, you can easily create high-quality videos for your business: tutorials, marketing videos, software presentations, video blog content, and much more. Grab your clients’ and prospects’ attention and increase your income with custom videos. Promote your company through branded footage, complete with your logo and contact information. Market your product or service by uploading the video to YouTube directly from the program. Save time with the intuitive interface and fast export. 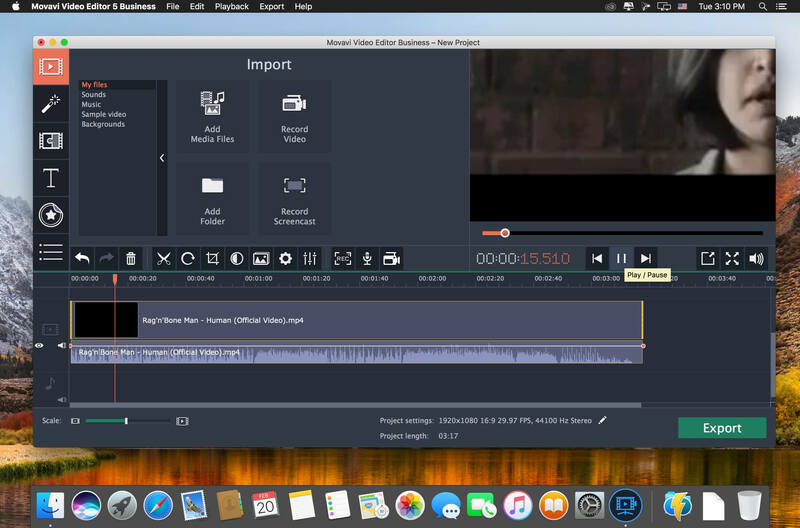 Movavi Video Editor 5.1.0 – A superfast streamlined app for easy video editing on Mac. Twixtor 7.0.3 – Plug-in for Fusion, After Effects, Final Cut Pro, and more.